Awaken the Storytelling Giant in You [Event] - The Chief Storyteller®, LLC. Looking to level up your storytelling skills? Join me on April 23 in Washington, DC. I’m presenting my storytelling for leaders workshop, hosted by B Local Mid-Atlantic. Awaken the Storytelling Giant in You – How to Use Stories to Engage, Persuade, and Inspire (Register) will be a fun and hands-on program (details below). 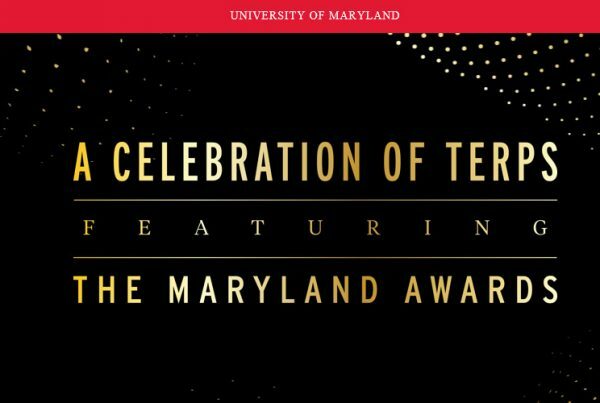 A perfect example of building relationships from networking, this event is because Carly (LinkedIn) and I originally met at an American Marketing Association (AMADC) event several months back. Over time, we got to know each other better. I learned she also worked for a Pittsburgh-based firm. And serendipity had us having dinner in Pittsburgh when I presented a Storytelling for Leaders workshop. 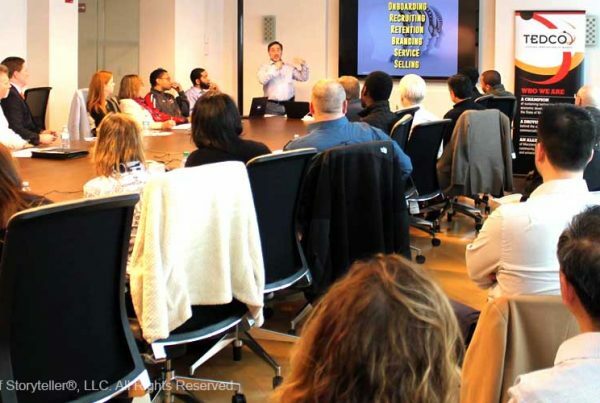 See below for two examples of Ira Koretsky and his storytelling training workshops or visit the speaking video web page for all of his videos. 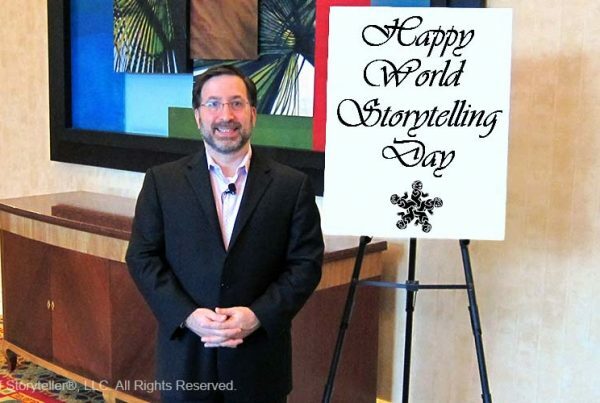 Bring a storytelling program to your event, retreat, or conference. Learn more. In all organizations, at all levels, we face universal workplace challenges: how to inspire the team, how to secure budget approval, how to take leadership to the next level. The right stories–personal, authentic, inspiring–can turn these challenges into opportunities. The Chief Storyteller® shows you how to turn your personal experiences into powerful stories that engage and inspire your stakeholders. Join B Local Mid-Atlantic and The Chief Storyteller® Ira Koretsky for a hands-on program where you will apply a universal storytelling framework to develop high-impact workplace stories. Learn how to use your voice, body, and words together to be a more effective communicator. Come away from the program with more confidence in delivering inspiring stories to any audience. Please join us for a hands-on interactive workshop packed with networking, sharing best practices and making connections! Registration includes a 90-minute workshop, light snacks, and non-alcoholic beverages. Bar service will be available. Original Photography Source: DepositPhotos // Design change © Copyright 2019, The Chief Storyteller®, LLC. All Rights Reserved.